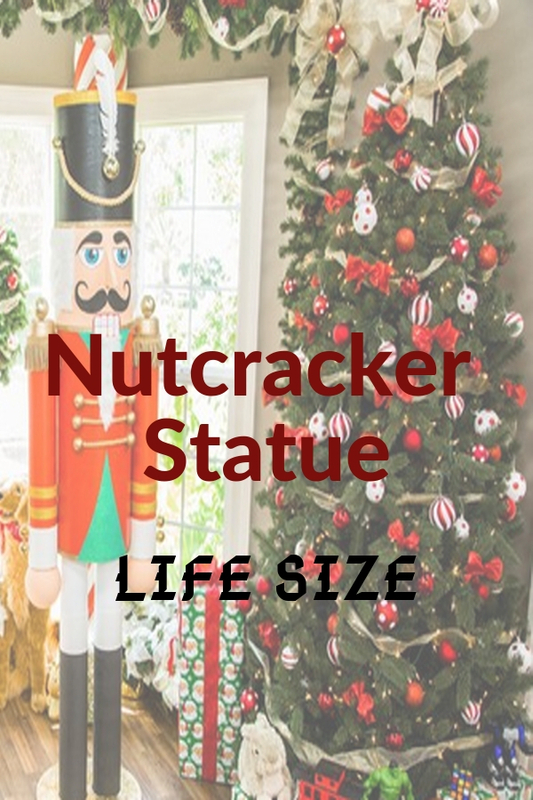 Let’s give your Christmas decoration a nostalgic touch with giant nutcracker statue the life size old-fashioned soldier. This figurine is associated with Christmas derives from German folklore that serves as traditional messenger of goodwill. By having an impressive huge toy soldier place inside your home or standing at front yard, it symbolizes bringing good luck to you and your family members. The following free standing toy soldiers are made with different materials such as wooden, iron or cardboard. They are prefect Christmas accent that feature holiday iconic colors of red, white and green for adding holiday atmosphere. Most of them are withstand with outdoor weather. Do not hesitate to pick the lighted one which is holding a star scepter if you wish to attract your guests' eyeballs by apply charming decoration at night time. Anyhow, the last option is ideal pick if you are looking a budget Christmas toy soldier for adorning indoor and add touch of holiday spirit. It is made up with large quality cardboard and suitable to be placed at corner of living room to complete holiday decoration.